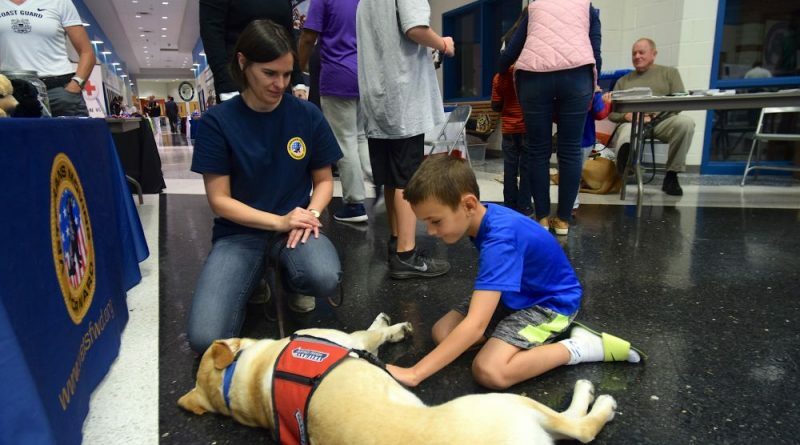 Eagle, a service dog trained by Loudoun-based Veterans Moving Forward, gets some special attention during the Salute to Military, Veterans & Families on Oct. 28 in Ashburn. The phrase, “It Takes A Village” has been used to describe the process of raising children. Today, it proves equally applicable to raising service dogs. Loudoun-based Veteran’s Moving Forward is looking for more volunteers, especially those interested in raising a puppy into a service dog. Interested residents can visit with some of the current pups-in-training and learn more about the volunteer needs during a fundraising event Saturday, from noon to 4 p.m., at the Downtown Saloon in Leesburg. Among the most recent graduates of the program is Dutch, a black labrador/golden retriever mix who will partner with a quadriplegic U.S. Army and Denver Police veteran. It took quite a few people to make that happen. 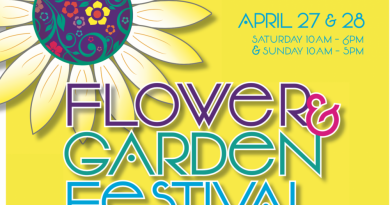 More than 40 volunteers over the past two years have been involved. The group includes the breeder who provided Dutch, the volunteer who recruited Dutch’s raiser, his many sitters, trainers with Veterans Moving Forward, the animal hospital caregivers who provided Dutch’s care, the volunteer canine training team who matched Dutch to Coski, the people at United Airlines who will oversee Dutch’s travel, the donors who provided funding for Dutch’s training, the volunteers who handled finances related to Dutch’s training, and many more. Dutch will partner with Dale Coski, who served as a sergeant in the Army Security Agency, where she worked as a translator/interpreter. Coski was left quadriplegic after being injured on the job as a Denver Police officer in 1983. She recently retired after nearly 30 years as the operations coordinator in the Human Rights Community Relations Department for the City of Denver. She remains an active volunteer with Denver’s Disability Parking Enforcement program. She has used service dogs since 1984 to assist her in maintaining her independence. 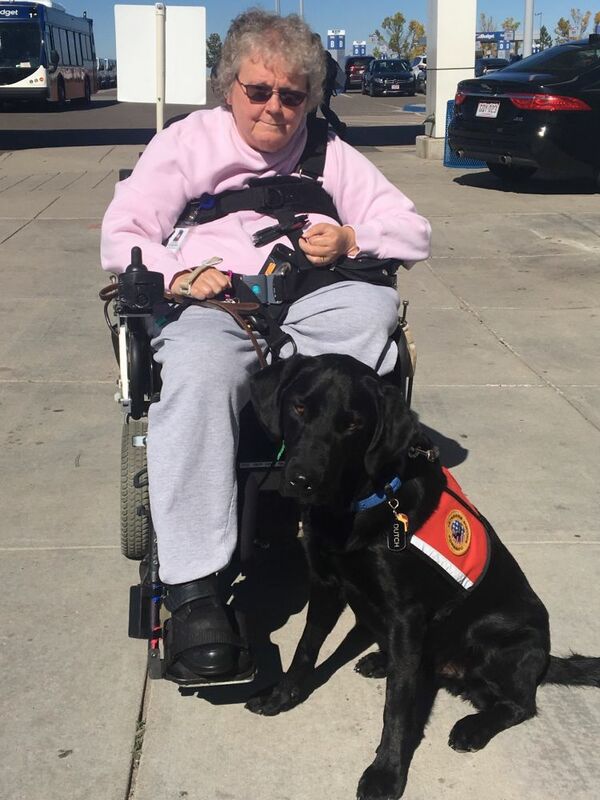 In Colorado, Dutch will help Coski retrieve objects she may drop or need, push handicap door buttons, give a cashier money for items she has purchased, and many other tasks. Those interested in helping can learn more at vetsfwd.org/raise-a-puppy or contact VMF’s director of canine operations, Michele Khol at mkhol@vetsfwd.org.